Assam Chief Minister Tarun Gogoi has dared the BJP-led central government to also file sedition charge against him as he agrees with some of the statements made by Jawaharlal Nehru Students Union president Kanhaiya Kumar.Interacting with the media persons here on Monday, Gogoi said Congress vice president Rahul Gandhi supported Kanhaiya Kumar's statements on freedom and sedition charge was slapped against him. "I too agree with some of the statements made by Kanhaiya Kumar and they (BJP) should slap sedition charge against me also," he said. "Kanhaiya Kumar has rightfully pointed out that they want freedom guaranteed under the Constitution. There can be different opinions and ideologies in democracy, and the BJP and the RSS have attacked the Constitution by restricting freedom of speech and expression, which is tantamount to curtailment of fundamental rights," said Gogoi. "There have been lots of protests against our government in Assam also. There have been organisations who have openly criticised us and shouted slogans against us. However, we have not brought sedition charge against them. We took action against those only who indulged in violence," Gogoi said. "I have been into politics for a long time. I was also a students leader and we too shouted slogans against the then Congress government. However, I have not seen such a government since the 1950s," Gogoi said, adding he had not seen the kind of confrontation and hatred in the society which is present now. "When A.B. Vajpayee government was there at the Centre, then also there were divisions but it has gone beyond limit now. 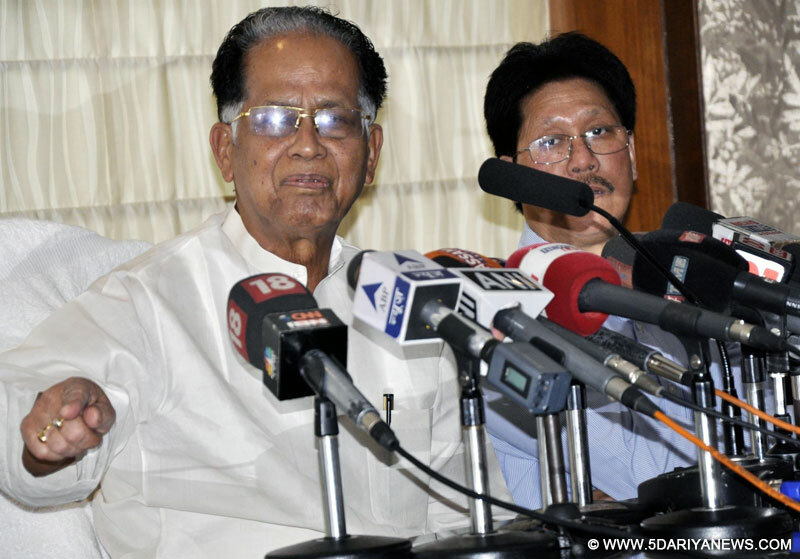 The Hindus and Muslims are divided now," Gogoi said.